Landscape Wizards is conducting the final Startrails workshop of this season, before the clouds roll in. The clear blue skies, moody mist covered forests and clear nights will soon be a thing of the past as Winter progresses into Summer and we want to make use of this final opportunity to make some spectacular starscapes. This is a unique photo opportunity, which involves shooting our brilliant home galaxy, The Milky way, spread across the night sky in all its glory. We will also have ample opportunity to make some sensational Star trails and Landscape images. Just to add to the aura we have some truly remarkable landscapes near the Backwaters of Linganmakki Dam where we will be basing our shoot. All these put together means images which are truly out of this world! Identifying the enormous photo opportunities hidden in the mist covered hills of Kodachadri is Pramod’s speciality. Landscapes and their unique ways of presentation come naturally to him. He would be leading the team during the day guiding the participants to exotic locales around Kodachadri for some refreshing Landscape photo opportunities. On the other hand Sriharsha would take charge once the sun goes down, to give the participants an opportunity to make some magical Star trail images. This would also be combined with an “On the Field” astronomy session involving spotting and identifying the various cosmic denizens we share our universe with. This is the perfect combination of Landscapes and Starscapes making it a very rewarding experience for those who dare to try out something new! 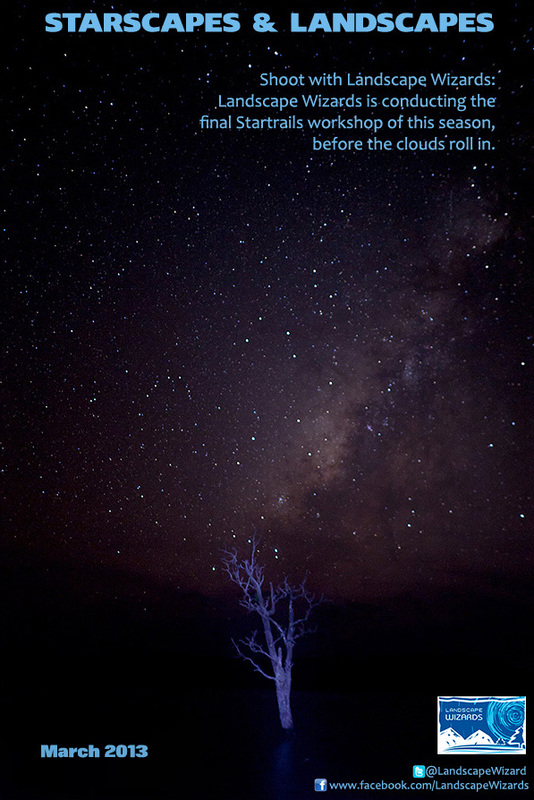 So, if you want to explore the mysteries of Astrophotography or are keen in learning a new photo skill, or are just interested in spending time in nature then express your desire to participate in the workshop using the contact form in the “Register Now!“ tab with “Starscapes and Landscapes” in the Subject line. We are limiting the number of participants to just 4 to devote 100% personalized attention for each participant. So hurry up! Slots would be offered on a first come first served basis, and they would fill up quicker than you may expect. Since this workshop involves night photography and considering the location we expect the weather to quite chilly, hence we advise the participants to have adequate warm wear for the night shoots. A nice bright torch is also essential to find our way in the dark. A Red light if available would also be beneficial to preserve our night vision. Leave to Pandavara Thali for an early morning “Intimate Landscapes” shoot. Leave to Hasirumakki backwaters on jeeps post lunch with photography luggage, packed food and some firewood. Early morning wake up early by 4:30 am, visit Hasirumakki again to make some moody sunrise images. Breakfast, lunch & dinner for all the three days.